This article was originally published by DNAInfo.com. HYDE PARK — Muslims and Unitarians will come together on Valentine’s Day to remember the city’s victims of gun violence. 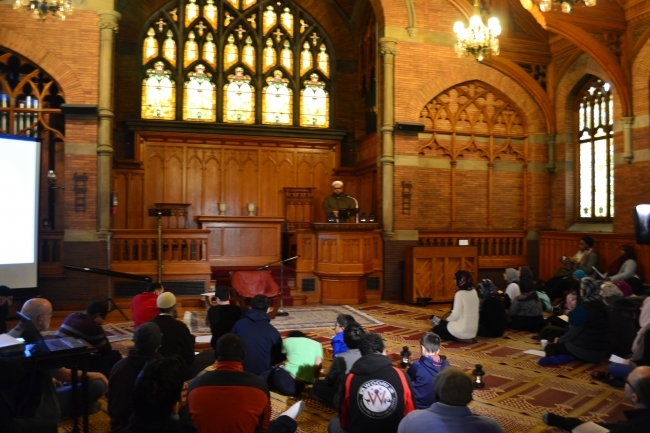 The Zakat Foundation of America and Sirat Chicago are hosting a communal recitation of “The Prayer of the Oppressed” at 2:30 p.m. Sunday at First Unitarian Church, 5650 S. Woodlawn Ave. Written in the 17th century, the prayer is a plea to end cycles of violence through understanding, humility and compassion. Jawad Qureshi will lead the prayer, with remarks by Su’ad Abdul Khabeer following. The event is part of a larger effort by the Zakat Foundation to bring together faith communities to address violence.